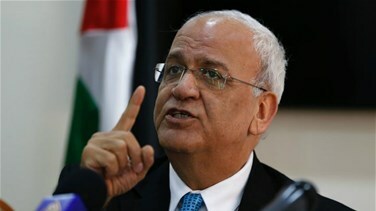 Echoing deep skepticism among the Palestinians, Arab countries and analysts, Saeb Erekat, the Palestinian chief negotiator, said that the Trump administration was siding with Israel on the core issues of the decades-old conflict, burying all chances for Middle East peace. Doubts have mounted over whether Trump's administration can secure what he has called the "ultimate deal" since December, when the US President recognized Jerusalem as Israel’s capital and then moved the US Embassy there. Jerusalem is one of the major issues in the Israeli-Palestinian conflict. Both sides claim it as a capital. Trump's move outraged the Palestinians, who have since boycotted Washington's peace efforts, led by the US president's son-in-law, Jared Kushner. The United States has also cut off aid to the Palestinians and to UNRWA - the UN agency for Palestinian refugees -- and has ordered the PLOs office in Washington shut, further angering Palestinian leaders. Greenblatt, a chief architect of the initiative, said US negotiators had entered the "pre-launch phase" of the plan, despite the boycott by Palestinian leaders, but declined to specify a time frame. US officials have so far been non-committal about whether their plan would endorse the creation of a Palestinian state beside the state of Israel - the goal of previous rounds of negotiations, the last of which collapsed in 2014.